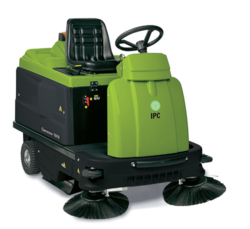 Leading Exporter of battery operated ride on sweeper and small ride on battery operated industrial sweeper machine from Ahmedabad. 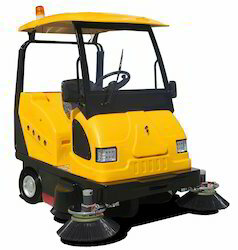 Backed by a strong vendors’ base and rich industry experience, we are able to provide a Road Cleaner that has bucket system which helps out in collecting dust. This cleaner is fully examined against quality parameters for the assurance of flawlessness in it. Our wide spectrum of clients has declared it as the best product for road cleaning purpose due to its several qualitative attributes. Ride on sweeper fro industrial use for cleaning of small rcc road surface. . Looking for Ride On Sweeper ?